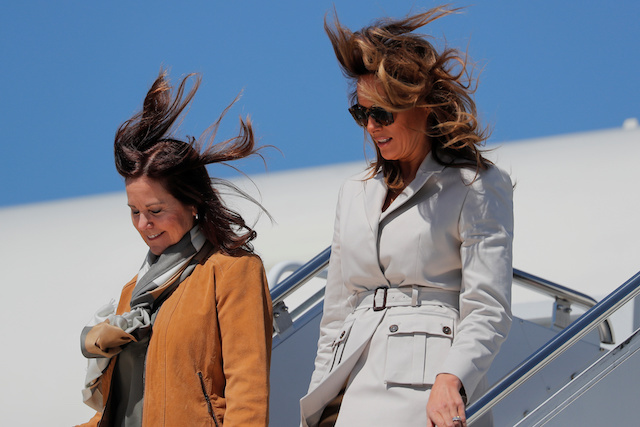 A group of kids at Albritton Middle School asked first lady Melania Trump a handful of questions Monday during her trip with second lady Karen Pence to Fort Bragg, North Carolina. One was about whether she would serve again as first lady. “We are working hard every day to keep America great,” FLOTUS explained after being asked about her and Karen’s duties in the White House. 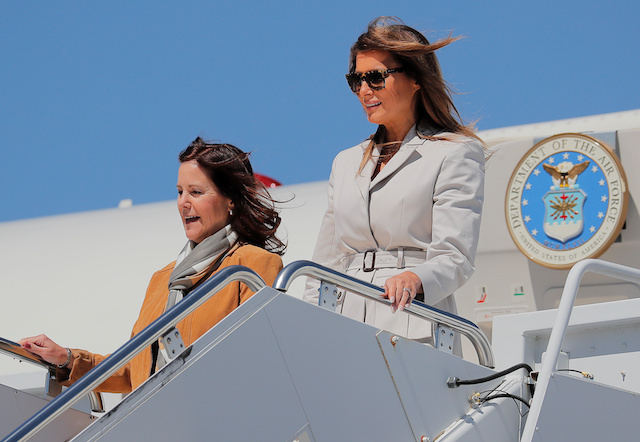 “I think our husbands [President Donald Trump and Vice President Mike Pence] are doing a fantastic job and I would support my husband if he would run again and yes, it’s a privilege, a great honor to serve,” the first lady explained to the kids. At one point, one of the students asked FLOTUS if her life had changed since Trump won the election and how it was different than before.